Our business partner Professional Advantage (PA) has developed the PAMTD for Infor SunSystems module. PA has a proven track record for developing quality add-ons for SunSystems. 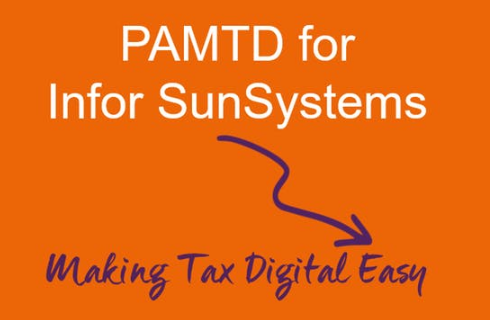 This new module is no exception and has been designed specifically for SunSystems clients to meet their Tax Digital needs for VAT. Attend the webinar to find out how MTD automates the link between Infor SunSystems and HMRC. The solution enables Infor SunSystems to export data to the MTD avoiding the need to re-key data and the risk of errors. It also maintains the link between the data provided to HMRC and the source transactions. The key benefit of MTD, over Excel spreadsheets, is that it is fully auditable and eliminates costly errors.